Hello! 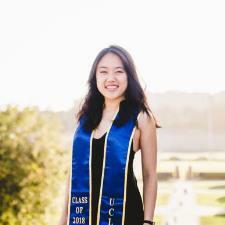 My name is Sophie and I am a recent graduate from UCLA, with a major in Biology and minor in Global Health. Learning and sharing have played pivotal roles in my life. I developed a love for teaching in college, and as a result sought various opportunities to involve myself in the community. As a private tutor and small group facilitator in the Life Sciences, I had the opportunity to guide students through difficult concepts and help them gain confidence in their academic abilities….